Pride of Yamaguchi Prefecture, the Rurikoji Temple! 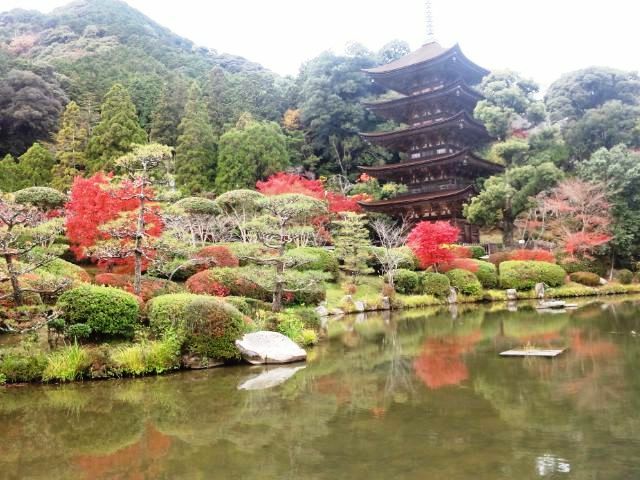 The 5 storied pagoda of Rurikoji Temple is one of the 3 finest pagodas of Japan. Introducing its charms and things to explore. This five-storied pagoda was constructed as a memorial for Yoshihiro Ouchi, killed in the Oei War in 1399. 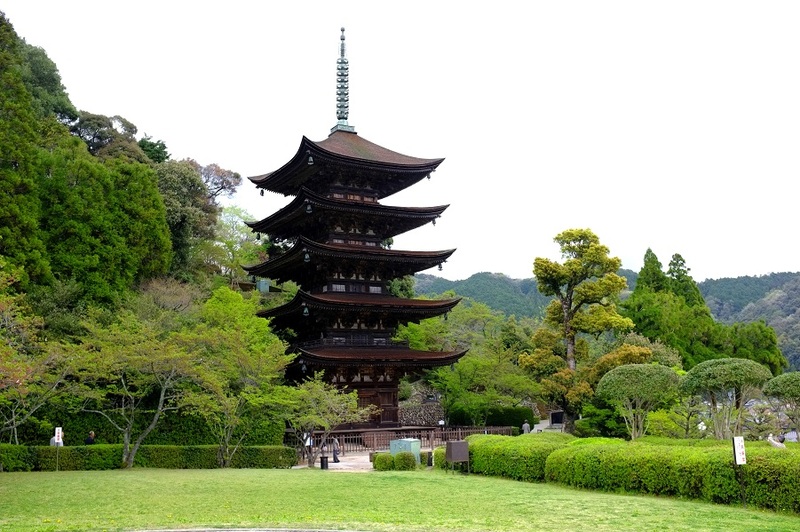 This five-storied pagoda is the 10th oldest among the ones that still exist in Japan. 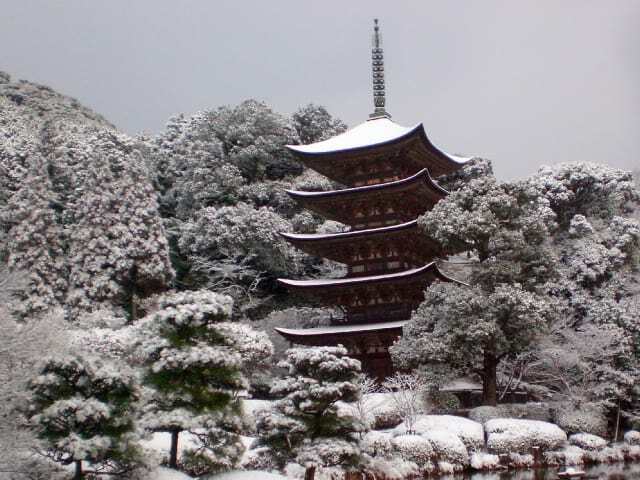 The other two of the 3 finest pagodas of Japan are Horyuji Temple in Nara and Daigoji Temple in Kyoto. This pagoda gives a neat impression and has a bark roof of cypress. The pagoda becomes slimmer and slimmer as it gets higher and this feature makes it look very well-proportioned. Illuminated at night, visitors should compare the view of the day to that at night. Also worth a watch are the natural scenic beauty in all the four seasons. 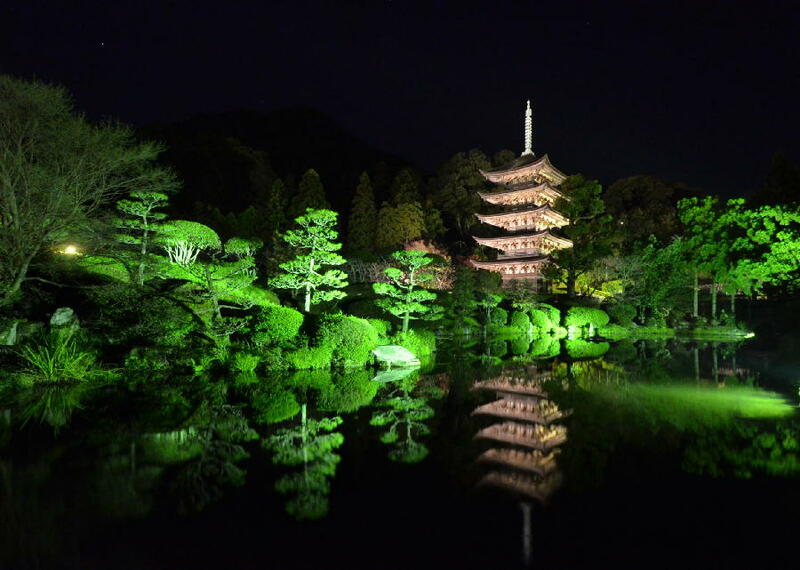 A pride of Yamaguchi Prefecture, the 5 stories pagoda is worth a visit!